Today, we’re taking a deep dive into how to eliminate heavy metals from the body. I invited my friend and gifted Functional Diagnostic Nutrition practitioner, Elise Purcell from Integration for Life, to guest blog on the topic because she has had to overcome her own heavy metal toxicity to regain her well-being and now guides others in that process. Identifying and eliminating heavy metals was no doubt one of my most pivotal steps to recovering from chronic illness. Once they were removed, the parasite that I had been trying to get rid of for five years went away, and other health issues decreased. It's not an easy process, and it's a topic many doctors don't discuss, but I am passionate about educating people on what I have learned through experience because it helped me so much! “Detox” has become quite the buzzword these days, and heavy metals should be on the top of the list of toxins to be aware of. People think that heavy metals are far removed from everyday life, but we are now actually getting exposed to them on a daily basis. They can create havoc in the body… including fatigue, brain fog, muscle/joint pain or weakness, digestive troubles and even female reproductive issues. They can also be very hard to get rid of unless you prepare correctly and take the right steps. What Are The Major Heavy Metal Offenders? How Do We Get Exposed To Heavy Metals? Mercury is most commonly found as methyl mercury in farmed or Atlantic fish, and as inorganic mercury in dental amalgams. It’s often used as a preservative in the influenza vaccine. Aluminum is in most cooking pans, tin foil, many antiperspirants, many over-the-counter medications, processed cheese and related products, cake mixes, pancake mixes, and frozen dough. It has also replaced mercury in many vaccines as a preservative. Fluoride in drinking water increases the uptake of aluminum. Cadmium is mostly in cigarettes but is also in the water, air, and even the soil and food supply in industrial areas. It's often found in plastics and even some chocolate. Arsenic is in drinking water, some rice, and conventionally raised chicken. Lead is in paint (unless it says on the can ‘lead-free'), commonly in drinking water (from old pipes), some herbal remedies from questionable brands, and some chocolate. Copper is in many common foods like coffee, chocolate, avocado, soy, shellfish, certain beans and nuts, and most IUDs are also made of copper. It is absolutely essential to get a licensed practitioner to run tests and guide you through the process of getting rid of heavy metals. Heavy metals can hide in the cells of the brain, nervous system, liver, kidneys, gallbladder, gut and soft tissue, and are not always easily picked up in tests. I have found the most thorough and reliable ones are from Quicksilver Scientific, the Blood Metals and the Mercury Tri-Test. You will also need to get a variety of other testing done to identify the current state of health in your body to know if and when it is safe to begin. Starting the process before the body is ready can cause great discomfort and distress. Knowing your current state also provides a marker for your improvement down the road. What information do you need? It is important that the detox pathways are open and functioning well, meaning the liver, kidneys, and gut. Test to be sure. Taking folate, B Vitamins, and eating foods such as broccoli, kale, garlic, onions, and daikon radish that contain sulfur can also assist this process. The Hypothalamic Pituitary Adrenal (HPA) Axis must be in good condition to properly detoxify heavy metals. Again, testing is crucial. I have found that even some of my clients that claim to “feel great” could use some support in this area. While detoxing heavy metals, there should be little to moderate stimulant activity (caffeine, over-exercising, over-working, and even over-worrying). Essential minerals should also be tested; if you are deficient in these minerals, your body will use toxic metals to fill their place instead. Lead substitutes for calcium, cadmium very readily substitutes for zinc, and aluminum seems to jump in almost anywhere. The body then retains those metals and locks them into the tissues, taking the place of the appropriate nutrients. Chelation/binders can only remove heavy metals that are in a free form. So, until the nutritional status of the body has shifted to supply these minerals in a usable form to the tissues, the body will not let go of the toxic metals. 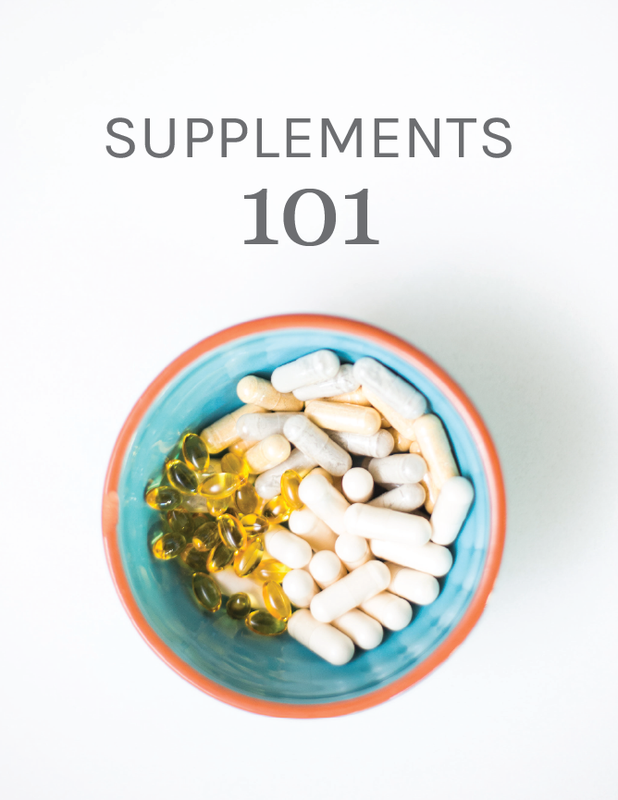 This often means supplementation is necessary before starting the detox process (see below). Spectracell labs are trusted for this test. Once all of this has been successfully addressed, you are ready for chelation and binders. I recommend oral chelation over IV chelation. There are many different opinions on this topic, but this is what has worked for me personally. It ensures that you can manage and titrate specifically for your individual situation. That makes it easier to avoid possible side effects, like extreme dizziness and nausea. This way, if you do too much too fast, you can always scale back on dosage until your system stabilizes and then move forward again when your body is ready. EDTA is an amino acid chelator. It is most effective at eliminating heavier metals and will work from heaviest to lightest. It is safest to work with low doses and take your time, like 6 months to a year, listening to your body, instead of trying to detox too fast and cause damage to your kidneys or other organs. I recommend this one. My two favorite heavy metal binders are zeobind and chlorella. The mistake many people make is taking binders like chlorella with a smoothie or food. These products eliminate the toxins from your body, so you want to do that independently of the digestive process to ensure proper assimilation of the nutrients from your food. Take binders 30 minutes before or 1 hour after any food or supplements. You must sweat! The other ways that toxins come out are through lymph and sweat. But remember: over-exercising can inhibit healing. The most effective way to sweat is with an infrared sauna. A great time to take binders is before getting in the sauna. You should also drink plenty of water and increase fiber and electrolyte intake during the detox process, especially after the sauna. Getting heavy metals out of the brain can be especially difficult, as they can often accumulate there – particularly after certain dental procedures (amalgams, implants, etc). Dr. Klinghardt, a German doctor that is an expert on heavy metals, toxicity, and chronic illness, has found that liposomal melatonin is a great detoxifier of the brain because it acts as an antioxidant and is especially effective for heavy metals. It also helps with sleep (which is integral for detoxification) and the gut. The ‘hangover’ many people report is actually a brain detox effect. A metal that merits special attention is copper. It is different in that all the other above mentioned metals have no productive use in the body. Copper is different; we require it to live and thrive. However, in excess, it builds up in the liver, joints, lungs, and brain and impairs adrenal function, slows down metabolism, and can have disastrous effects on mood, hormones, and reproductive health. Birth control and copper IUDs can affect how copper functions in the body. While for some women this is not a problem, others find it common to experience things like mild to severe sexual difficulties of various types, depression, and anxiety. Pulling the excess copper out can be beneficial for many reasons, including less PMS, cramping, and higher fertility rates. Copper and zinc are inversely related, so re-mineralizing zinc and also Vitamin C (which is an antagonist to copper) is necessary. I do believe that in the modern world it isn’t a question of if this applies to you but to what degree. Hopefully, this gives you some knowledge on just how complex this issue can be and some steps in the right direction. This information is not meant to instill fear, but to inspire educated and purposeful action. I hope you enjoyed Elise’s guest blog and learned a lot about heavy metal toxicity and how to recover from it. For more about Elise, or to work with her privately, you can visit her website integrationforlife.com. She currently has a waitlist practice. You can also find a qualified Functional Diagnostic Nutrition practitioner in your area at http://functionaldiagnosticnutrition.com. To your knowledge, has this treatment helped ALS patients? Blurry vision and eyes symptoms can be relate to mercury? Hi, I am strongly considering purchasing the candida cleanse or gut thrive (not yet sure which is better for me) but I also have mercury fillings and can’t afford to remove them before the cleanse and was wondering if the cleanse would still work for me? I’ve had the fillings for about 25 years now. Thanks for your help!! Hi Christa,I was a GThrive 1 graduate :)) well I would have graduated in flying colours, had I known it was Lead and Mercury that was the source of my woes all along! (Has recently triggered Hashis) I’m working with Dr Tips on this now, just so Glad I had a TPOab lab test done for the Thyroid antibodies, then as a follow up to that a Hair Mineral Analysis, which identified the toxic metals of Lead and Mercury. The strange thing was I had made improvements on GThrive but only crashed hard when introducing Friday fasting recently.. The fasting must have freed up the metals! I’m starting to feel better now with the help of Dr Tips.. On the enema bucket again, but there is light ahead.. Thanks so much for GThrive and the amazing educational journey this was. Glad to know you’ve got a handle on it William. You are in great hands with Jack Tips. All our best, Team TWJ. Hi, these tips regarding detoxing are very informative. One question I have is regarding amalgams — I have several but can’t afford to have them removed, nor do I have a biological dentist in my area. Are there ways to safely detox while still having amalgams? Any tips regarding this would be greatly appreciated. Christa, you are a health jewel. This is the most comprehensive article on what to do for detoxing I’ve ever read and I follow a lot of doctor and health provider newsletters. Thank you. My husband tested very high for lead. Our Functional Medicine Physician (who has been an excellent physcian for us both for the past 2 years) recommended an IV Chealtion Push followed by “X” IV chelations. When the lead was releease from his bones, my husband got very, very sick from the push and choose to not do any more IV’s. He is taking binders, eating Autoimmune protocol with me (I have Hashimotos’) taking DHEA and recommended supplements. He also uses the TrueRife machine http://www.truerife footbath detox three times per week. His main issue is memory/cognitive thinking/mild cognitive imparement. For the first year he did well but is now sliding backwards. He can do the work I ask him to so but he cannot make decisions, solve problems and has little or no judgement ability. I am concerned and do not know how else we can treat this…We have spent our retiement savings thus far and are running out of money. He is age 72. IV chelation is dangerous. I recommend looking into Andrew Cutlers protocol (book called Amalgam Illness). Covers all heavy metals. I healed myself with this protocol and I was very ill, could barely walk. Some of the things in this article I would NOT recommend doing. I tested high for uranium. I live in Chattanooga, TN and swim/kayak the Tennessee river all the time. We have several nuclear plants within 100 miles of us. I’ve stopped swimming in the river and switched from Lipton black tea to organic ones. I’ll retest soon. Will the detox program work for uranium? Hi Missy, You can contact Elise for more information and details on uranium. Please visit her website integrationforlife.com. You can also find a qualified practitioner in your area at http://functionaldiagnosticnutrition.com.